This entry was posted in We Are Science and tagged Brad Plumer, Green New Deal, Jonathan Gilligan, Ramez Naam, solution aversion. Bookmark the permalink. Something that struck me when reading Jonathan’s point about the GND is that common themes seem to be people criticising these aspirational policies because they’re unrealistic. At the same time, I’m seeing more people (in particular those who might be, or have been, associated with the Breakthrough Insitute) highlighting how the sensible way forward is what they’ve been suggesting for years (no regrets, policies that don’t damage growth, policies that have short-term benefits, etc). When I was thining about this last night, I had a way of describing this that made sense, but I think I’ve lost it, so I hope I can express myself clearly. The issue that I see is some trying to paint themselves as the reasonable middle who want to do something about climate, but nothing too drastic because at least what they suggest can be implemented, while those who are actively promoting more aggressive climate policies will be painted as unrealistic and will ultimately be blamed for a lack of climate action because they didn’t promote policies that could be implemented. I’m all for not letting the perfect be the enemy of the good, but I also think there is little point in promoting policies that will ultimately not solve the issue that we’re trying to address. I accept, though, that it’s a fine line. Would be interesting to get Jonathan’s thoughts, assuming I’ve expressed this in a way that makes some kind of sense. One question w/r/t the framework of the positions as you present them (which parallels other, more gwrneealbpolitical issues much in discussion w/r/t the Democratic party), is that it looks at the tension between those two basic positions within a static snapshot. A follow-on question, one that is difficult to answer, is whether more aspirational policy advocacy might shift the entire discussion, to change the picture of what is and isn’t politically feasible to implement. Going slightly but not entirely off topic, I recently devoured Barbara Kingsolver’s nonfiction Animal, Vegetable, Miracle (2004, I think) account of taking a year to live on local food and her family farm in Appalachia (of course, most of us don’t have that advantage). It was very inspiring, and as a family effort folded in surprising reflections about our food supply. Also, I’m reading Steven Stoll’s Ramp Hollow: The Ordeal of Appalachia which covers a much broader field including enclosure in England, African agrarian society, the development of barter, exchange, money, government, wealth disparity, etc. etc. and also includes useful reflections on how these entities affect land use. Its writing is good enough to consume at the pace of a good novel, but dense with fact and reference. Absolutely fascinating! It came up because of the popularity of Hillbilly Elegy which is not useful at this level. We in the US are having trouble with a rebellious and misinformed electorate that votes against its interest (for too many there is nothing more evil than a Democrat, not even pedophiles and murderers, but I digress). Factoid from Kingsolver: you can fit 1,152 chickens in a space 6×8 feet. Also, it is possible to include meat in the diet if it is raised differently (start with grain fed) without ecological mayhem. And the average food item of a normal family travels 1,500 miles. “A quick way to improve food economy would be to buy a quart of motor oil and drink it.” (from her husband, academic Steven Hopp). One more personal story. I work with Home Health Aides and have occasion to try to bring them up to speed on environmental concerns. They’re not unsympathetic, just not interested, despite being good people. They’re just too busy and somehow they have not received the message that it will be bad for their children (they’re young enough it will be bad for them as well). They also feel entitled to treat this as a social gaffe on my part, sadly. My point: most people can’t be bothered (you have Brexit, so you know the line of nonsense they’ve swallowed). That reminds me, I read (on your recommendation) Flight Behaviour, which I thought was very good. aTTP, hope you don’t mind me saying that imnsho you are remarkably broad and open minded. Most men find her books too female. I thought the point about education was interesting, and it started me on this kick about Appalachia. The Appalachians are roughly the size of New Zealand, though slightly broader, so it’s a big subject. Her book with a male (closeted gay) subject, The Lacuna was a more difficult read, but fascinating, as it focused on Trotsky, Diego River, Frida Kahlo, and the US McCarthyite era when “communists” (including at least one of my parents’ friends and scientists) were put in jail. Trump was taught by Roy Cohn, who was also Joe McCarthy’s amanuensis. I thought the Poisonwood Bible was excellent, so I’ve also read Lacuna. I hadn’t read anything else until I read Flight Behaviour. ATTP raises a crucial point. Stabilizing greenhouse gases before things get extremely bad will require rapid, aggressive, and coordinated global effort. However, there is no sigh that the political process, especially in the US, can provide that. So for the near term, our choices appear to be to take small, inadequate, but politically feasible measures, or to focus on politically unfeasible measures and get nothing done. If those are the choices, I’d take the inadequate measures that can at least provide some progress. My work on private governance has always emphasized that this is not going to come close to solving the whole problem, but can perhaps move quickly to buy time for the political process to become more amenable to bigger action. To that end, it’s important not to think in terms of dichotomies. Instead of saying that we have to choose between inadequate policies we can act on quickly and large-scale policies that we can’t act on in time, ask how we can do both, using the smaller policies in the short term to buy time for and possibly build support for the bigger policies that will follow. To this end, when I propose smaller-scale initiatives that appear feasible in the short run, I try to be careful to make sure that they are not likely to conflict with, or undermine support for bigger, more comprehensive policies later on. y I know the Breakthrough agenda is anathema to some readers here, but perhaps Mr. Gilligan can help legitimize some parts of it. As I’m a fan of TBI, I certainly hope so. Those who consider innovation a skeptic unicorn or deus ex machina might note that Mr. Gilligan writes here about having to update a fairly recent paper to take into account the arrival of such innovations as LEDs and EVs. When CO2-free cement (or its newer competitor, cement that sequesters CO2) gets a bit more popular, he may need to revise again. The portfolio of approaches we will need to adopt to combat climate change is already packed with possibilities, ranging from uprating hydroelectric facilities to painting roofs white, and a lot more besides. The fact that later steps will be somewhat painful should not stop us from starting. Small, (almost) painless steps can get us in the habit. When you consider the process by which smoking became socially unacceptable (cautiously limited and then banned in planes, then cinemas, then hospitals, etc. ), an incremental approach can work more quickly than pessimists assume. And without trying to be offensive, the ‘mood’ of much climate communication has been pessimistic. Optimism works better. Even if you don’t believe it at first, you can fake it ’til you make it. I’m so glad he brought that up. “So for the near term, our choices appear to be to take small, inadequate, but politically feasible measures, or to focus on politically unfeasible measures and get nothing done. If those are the choices, I’d take the inadequate measures that can at least provide some progress. But a lukewarmer agrees, must be wrong. Yes, I agree that we should aim to do both (enact policies that we can actually implement but that might not be adequate, while aiming for policies that will be more ambitious and effective). I was, however, getting at something slightly different. How do you do this in a way that doesn’t ultimate lead to people we may call delayers, ending up controlling the narrative? In other words, if those who support ambitious policy accept pragmatic, but ineffective, policy, how do they do this in a way that doesn’t completely undermine our ability to enact more ambitious policy? For example, how would we do this without making it seem that Bjorn Lomborg was right all along. Having written this, maybe it’s something we shouldn’t worry about and should just get started. However, it does feel as though we’d have to be careful of accepting something on the basis of it being a start even if it would be ineffective, and then finding that everyone thinks it’s basically done. That sounds like diet programs. Where there is a commercial interest in selling people the idea that they do not have to make radical and permanent changes in food consumption, simply eliminate carbohydrates/gluten/dairy for 6 weeks and perhaps take statins and vitamin supplements, and their obesity problem will be solved. The danger is that when faced with a problem which really needs permanent change, people would prefer a solution that may involve some temporary or partial sacrifice, and adopt that as a total solution, rejecting any fundamental alteration in their behaviour. If AGW could solved by 6 weeks of reduced energy consumption it would be easy. But like obesity it will take significant, ongoing reductions in consumption. To be successful small climate actions should have the potential to move the global economic/political needle at scale. Solar and wind are good examples. The school strike may turn out to be another. Not sure how useful personal consumption decisions are. In the end, the rules of the game need to be changed. Per article below, looks like the financial community is starting to recognize the current disconnect. Bottom-line, science denial is causing inaccurate pricing signals, which cause bad long-term investment, the housing crisis on steroids. Ironic that free-market advocates are the most resistant to change, one would think a rigged, inaccurate, market would bother them. ‘Free’ market advocates mean free from government regulation so that the market CAN be rigged and inaccurate in favour of the biggest, or most rapacious players. And, in the process of trying to sort out my comment now, I thought, that’s interesting. One thing aTTP does is provide a forum where people who are lightning rods for those of us who think reality has been undermined by politics advocacy actually show up. Despite my disgust about ClimateGate, I admire your courage in showing up here and demonstrating that principled action is a mixed bag subject to misinterpretation in the broad middle. I’ve always thought namecalling is stupid. We’re stuck with the real world, and pushing at people with insults that may or may not be accurate rather than reasoned arguments makes them harden their positions. Despite my disgust about ClimateGate, I admire your courage in showing up here and demonstrating that principled action is a mixed bag subject to misinterpretation in the broad middle. I’ve always thought namecalling is stupid. We’re stuck with the real world, and pushing at people with insults that may or may not be accurate rather than reasoned arguments makes them harden their positions. Principled action is only okay when the principles enacted are in line with the facts. We could consider Steven’s past actions and his present tone-tr0lling in the light of this, for example. Which begs the question of to what extent Steven’s actions are principled, at least in the usual understanding of the word. If we could focus on Jonathan’s stuff, that’d be great. So for the near term, our choices appear to be to take small, inadequate, but politically feasible measures, or to focus on politically unfeasible measures and get nothing done. This seems to me to be a structural question that parallels similar questions on any variety of political issues. One argument I’ve often seen is that if the civil rights movement, as an example, had focused only on initiatives that seemed feasible in the short term, it would not have advanced the cause of civil rights (long term) to the extent that it did so. I’m fairly agnostic on this question… this seems to me to be a very “uncertain” question…and of course, even if we had a clear answer w/r/t to civil rights, that doesn’t necessarily mean it should be a guide to understanding the political realities of climate change policy. I thought you’d like to toy with it. If you do, please report your results. OK, I reread the whole thing to try to focus. Willard, I owe you two apologies, one for going off topic and the other for not noticing that it was you who did the interview. That said, I still love the material, difficulties and ambiguities and all. I got my parents’ copy of How to Change the World (origins of Grameen bank etc.) decades ago and remember being inspired as heck about it, gave it away to a fellow train passenger who was captured by my enthusiasm. Since then, I’ve become jaded. But the Green New Deal situation, as discussed above, is important, and the metaphor with MLK Jr. appropriate. It’s aspirational and essential, and those who attack it have no alternative solution to the destructive power of our acquired habits and the power of fakery. People think they can just get on, but it’s clear from events (recently, Idai and our midwest floods, and many other problems invisible to most of us (Singapore: https://www.razor.tv/video/flash-floods-across-singapore-caused-by-heavy-rain/4802324435001/5294365066001 )) that our current ideas are not functional. There is coverage this week about poisons in our food supply, and that doesn’t even touch the way we hunt for food in a plastic packet, ignoring its vast carbon footprint. I’m for the leapfrog approach of the GND. Just as I’m for the current marchers in the UK – https://www.theguardian.com/politics/live/2019/mar/23/brexit-hundreds-of-thousands-expected-to-march-for-peoples-vote-london-live-updates – It’s time to say “to hell with convention” and do what we must. I’m also for the acceptance of reality and promoting the possible, as described above. The difficulties of now seem overwhelming, but accepting limitations has not worked so far. I think it’s time to let the realists have their say. Our wholly owned corporate marketing and cheating system is not working. I’ve been thinking more about possible parallels with the Civil Rights movement. Were the Panthers a necessary part of the movement that maid the “mainstream” Civil Rights advocates more politically palatable? 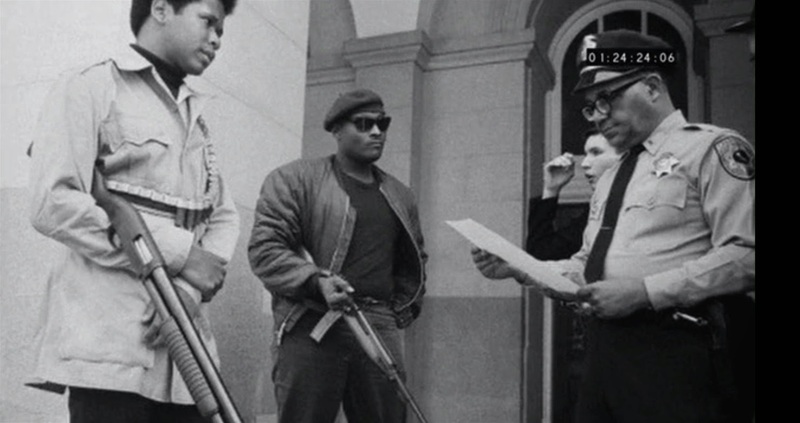 Were they an element that only made “mainstream” Civil Rights advocacy all that more difficult? Was their existence essentially not material to the larger forces in play that manifest as the trajectory of the larger Civil Rights movement\? thomaswfuller2: Yes, I agree that hopeful messages may be more effective. That point is one thing I like that comes from the Breakthrough Institute. But I think we need more empirical research to test that hypothesis. Right now, it’s just speculation. I hope there’s some truth to it, and I think there may well be, but I’m prepared to be convinced otherwise if that’s what empirical data say. I don’t like the idea that we’d have to choose between absolutes: “The BTI is wonderful” or “The BTI is horrible.” I agree with some things they say and disagree with others. I try to evaluate ideas without ascribing motives (good or evil) to the people who come up with them. One has more interesting conversations if we focus on the ideas rather than the people. ATTP: You raise good question. I don’t have solid answers. We’re all trying to figure this out by the seat of our pants. To me, the last 30 years of climate policy point me to the conclusion that holding out for a comprehensive solution isn’t working, so I’m proposing something else and basing it to the extent that I can on empirical psychology and political science. But there’s a lot of uncertainty and I don’t think anyone can be sure whether something is a good short term supplement to advocating for a bigger response versus becoming a delaying tactic. Joshua: You make good points. I agree with everything you write and I don’t see a contradiction between the good points you make and what I’m pushing for. I am hopeful that GND may move the Overton window and I don’t see any contradiction between that hope and also pushing for more concrete actions in the short term. Similarly, as you point out in your last comment, the civil rights movement had many parts, some of which pushed for smaller short-term victories while other parts pushed for bigger long-term goals. I also agree with your point that climate change is more abstract and harder for people to connect with viscerally than seeing assaults on children, or seeing their relatives and neighbors ostracized for being queer. I agree that the BTI presents ideas important for discussion. That said, I think the characterization that they are “hopeful” deserves some due dilligence. This might be as good a place as any to start. Lest it might have seemed otherwise, I agree with your approach. Speaking of the Green New Deal,in insightful article about it is contained in the April 1 print edition of Time Magazine with AOC on the cover. Project Drawdown is the most comprehensive plan ever proposed to reverse global warming. We did not make or devise the plan—the plan exists and is being implemented worldwide. It has been difficult to envision this possibility because the focus is overwhelmingly on the impacts of climate change. We gathered a qualified and diverse group of researchers from around the world to identify, research, and model the 100 most substantive, existing solutions to address climate change. What was uncovered is a path forward that can roll back global greenhouse gas emissions within thirty years. The research revealed that humanity has the means and techniques at hand. Nothing new needs to be invented, yet many more solutions are coming due to purposeful human ingenuity. The solutions we modeled are in place and in action. Humanity’s task is to accelerate the knowledge and growth of what is possible as soon as possible. We’re all trying to figure this out by the seat of our pants. But it won’t. We have procrastinated for 30 years as the ‘fire engulfing Rome’ grows larger, deeper and more destructive. We are passing tipping point after tipping point while we sit by idly, mitigative policy paralyzed by those with wealth and power who are doing everything to guarantee our descent into the abyss. I disagree that hopeful messages will have more positive effects. As Chris Hedges said to Peter Jay in 2013 on an episode of ‘Reality Asserts Itself’, hope is like a pathology that blinds us to the nature and reality of the predicament. Hope has to have an empirical foundation and embrace reality, as the program’s title made clear. Clive Hamilton spelled out his frustration at human apathy in his book ‘Requiem for a Species’, which is now almost 10 years old. He said even then that it was too late for mankind to avoid some of the serious consequences of anthropogenic climate change, no matter what we did, yet a decade and the five warmest years on record later we have done little to address it. Unfortunately, the chickens are coming home to roost. Clearly, our primitive brains are not wired to deal with threats that are perceived as being gradual and almost existential. It will be our undoing. The same should apply to messaging. Both optimism and pessimism work. One is like a carrot, the other like a stick. Sock and buskin. Early results suggest ECS values from some of the new CMIP6 climate models are higher than previous estimates, with early numbers being reported between 2.8C (pdf) and 5.8C. This compares with the previous coupled model intercomparison project (CMIP5), which reported values between 2.1C to 4.7C. The IPCC’s fifth assessment report (AR5) assessed ECS to be “likely” in the range 1.5C to 4.5C and “very unlikely” greater than 6C. (These terms are defined using the IPCC methodology.). That we are still debating how to communicate the seriousness of the climate problem, in order to prompt support for dealing with it tells me the climate problem is going to be much worse than it otherwise could be – and should be. I think we have more of a top down problem than a bottom up one – effective leadership uses the truth to inspire support for the things we need to do, even for things that are hard; throwing this back to the public has been responsibility avoidance. But add in deliberate efforts to mislead and confuse and divert the public at the same time – leadership using lies to avoid the rise of popular support for the things we need to do – and it becomes something much worse than mere incompetence or apathy. People in positions of trust, responsibility, power and influence do have higher levels of obligation to take the expert advice seriously. Even so, if it takes a popular movement with majority support to demand better – and we are belatedly become a majority – then that is good. Of course we are portrayed as unthinking followers of an extremist led fad so that majority will to be rejected by policy makers. Positive messaging, avoiding making a fuss about the changing the planet’s climate will be disastrous won’t work in my view; unless we accept how deathly serious the problem is we won’t accept the policies that will do the job.